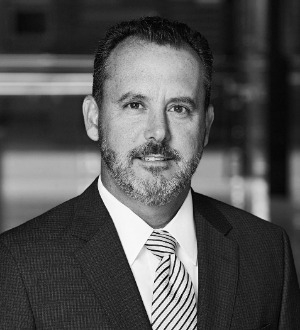 John D. Alessio focuses on complex class action, business and employment litigation with particular experience in trade secret misappropriation, unfair competition, real estate, shareholder and contractual disputes to include cross-border issues. He has achieved great results for clients of all sizes in civil trials, arbitrations and mediations. Defended numerous businesses and executives in class actions and individual claims regarding trade secrets, misappropriation, unfair compensation, consumer claims, wage and hour violations, discrimination, harassment, whistle blowing, contractual disputes, ownership disputes, real estate disputes and related matters. Prevailed in class action trial defending a municipality. Defeated and favorably resolved class actions against banks, mortgage companies, product manufacturers, whole salers and retailers, construction companies, car dealers, restaurants and others. Achieved class action certification and favorable resolution in an age-discrimination employment claim. Defended and prosecuted cases on behalf of landlords in commercial litigation and toxic tort matters. Defended and prosecuted cases on behalf of Mexican businesses in commercial disputes and personal injuries occurring in Mexico and filed in California. Defended and prosecuted cases on behalf of majority and minority shareholders, partners, members and managers in breach of fiduciary duty, breach of contract and related matters.